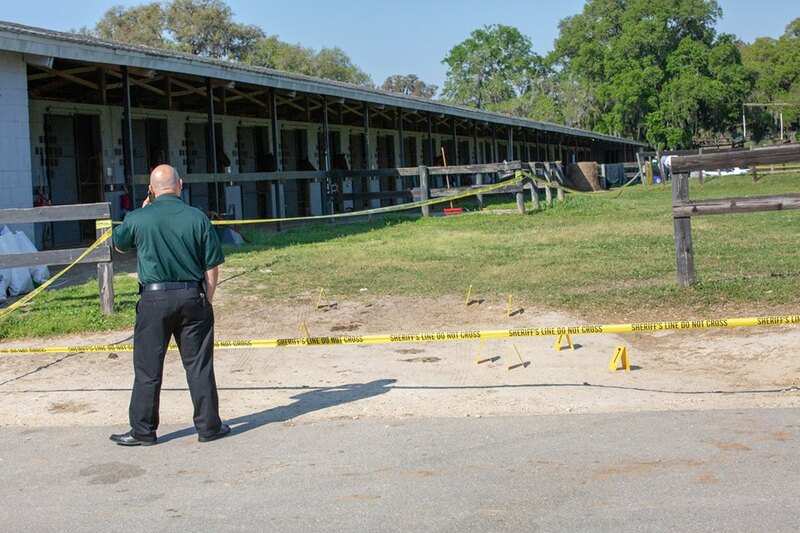 Marion County — Law enforcement officials responded to the Classic Mile Park Training Center, located at 13750 West Highway 40, Ocala after an employee discovered a dead body while checking on the horses. When investigators arrived, they found that a Hispanic male had been shot to death. Officials did not say how many times the victim was shot or what type of firearm was used. If you have any information about this incident, please contact Detective Aaron Levey at 352-368-3546.